Its Official; Gilles Sala created soukous. They say if you send it to the internets its never leaves, never dies. Thank you for the music, history lesson and making my routine afternoon beat mining feel like the most important part of my life. Many thanks for the music. I checked Ossinonde's book on Les Bantous. Apparently, the tracks on this LP were recorded during the Bantous first trip to Europe in Nov. 1962. The following year, Papa Noel, Jose Bukasa and Jacky Mambau left the band to help Grand Kalle restart African Jazz. As for the "Soukous" label, I suspect these tracks were initially released as 45rpms and only years later on LP. 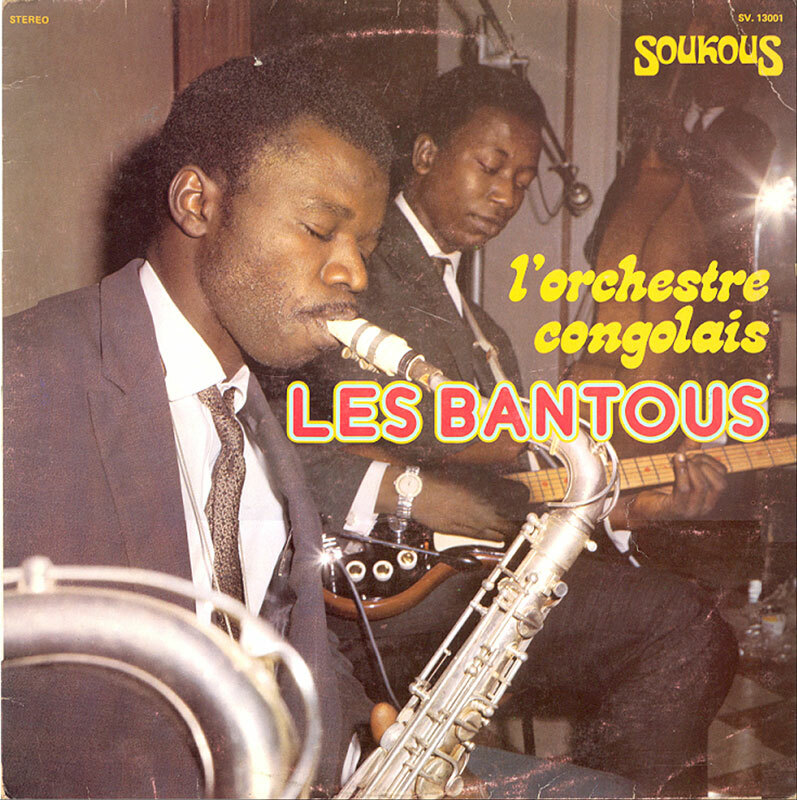 Probably in the late 60s, when soukous became a catchword to market Congolese music. But that's just my guess. @Peter: That does explain a lot, especially with regard to the line-up. Re. the book: I'm afraid I can't keep up (mainly financially) with all the books being published. waou ! what a vibe ! thanks for the music ! dude, sorry to bother once again but Les Ambassadeurs du Motel de Bamako is crazy, I love it ! Re: claim that the Bantous LP is from the mid 60s - I would argue that the use of the term Soukous suggests a later date. In the mid 60s the dance craze in Brazza was the boucher. Soukous became popular much later, in the late 60s. More info from the book on the 1962 tour. Apart from the 51 singles that the Bantous recorded in Brussels for Izeidi's CEFA label, they also did some recording in Paris, 4 singles for Louis Gasté. I assume Gasté (husband of Line Renaud) later gave the tapes to Gilles Sala who re-issued the 8 tracks on stereo LP. The Bantous on tour included all the musicians listed on the back cover, plus Celestin Kouka. Don't know why he is not credited as one of the singers. I can't remember having seen other records from this label. Do you know which artists were on those records? @tom: No need for a "sorry". Your contribution is very welcome and appreciated. This seems to clinch the dating of the lp. Given the frequency of the releases I think it is safe to say that the lp must be from 1975. Are you perhaps willing to share any of the records you mention as having in your possession (I ask cautiously...)? I love this album. My copy has gotten lots of spin time. I am particularly fond of the photo of Papa Noel on the cover. This must be the youngest photo of him I've ever seen. I have a few 45s on the Soukous label. They are mostly "Congolese rock n roll" recorded in France. This is a terrific album. I'm still wondering whether it was recorded in the mid 60s and released in mid 70, or do you think it was recorded in 70s. The twangy, Hank Marvin guitar style of Papa Noel is fantastic, especially on Brazza-Paris. Thanks. @Anonymous (Paul): As Peter has commented, the recordings are from 1962, and - as Tom commented - the lp was released in 1975. Given the evidence there is little or no doubt about this. Thanks for much for the music on this album and many others you've shared. I'm sure you've read Rumba on the River by Gary Stewart, so will spare you my thoughts on your comment on the inventor of soukous. Fantastic work. Thanks from Australia.